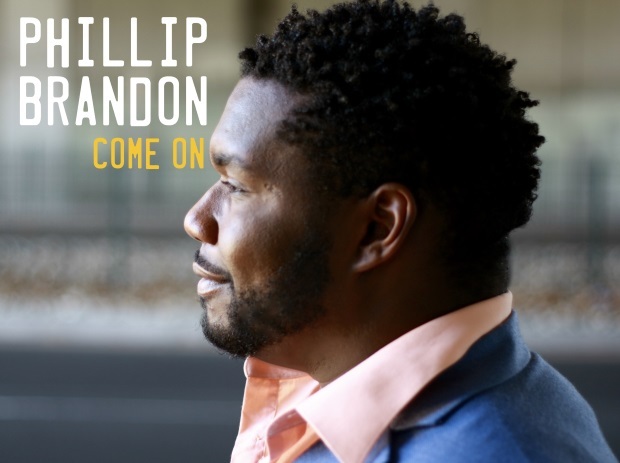 Song of the Month: Newcomer Phillip Brandon wows us with "Come On"
Those are the words of talented vocalist Phillip Brandon, who is readying the release of his first full-length CD, the ambitious The Story Begins. Intentionally blurring the lines between soul, jazz and pop, Phillip channels great artists from Sammy Davis, Jr. to Gregory Porter. His respect for the classics comes naturally. Phillip’s mother Brenda was a former member of Ray Charles’ Raelettes. And, when it came time to put together his debut album, he chose to work with legendary songwriter and producer Preston Glass. The Story Begins on October 20, but we have a great sneak peek for SoulTrackers. “Come On” is a cool midtempo with a jazzy flair and the kind of soulful call-and-response that would have done Phillip’s mom proud. Written by Phillip and produced by DrFord, it is the kind of gem that you don’t often hear on radio anymore. Check out “Come On.” It is our Song of the Month for September, and a great introduction to an artist from whom we can’t wait to hear more. Tell us what you think!